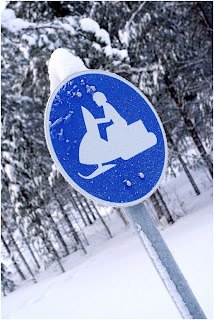 >Go snowmobiling! Make fun in the snow. Safety First: Have an adult drive and always wear a helmet. As well, stay on trails and be sure to stay in areas cleared of avalanches in mountain areas. Make this a family activity: Go for a ride with your mom or dad. This activity promotes learning about vehicle safety and enjoying the beauty of winter and the great outdoors.